Grabbed an ASRock Z170 Pro 4S and an Asus RX 460 STRIX OC 4GB for $120CDN, brand new and in my search for an 1151 CPU I managed to find an i7 7700K for $250CDN, also brand new, kinda pleased with the CPU even though it's much more than I need but I'll use it. Hunting for DDR4 kits now and a decent SSD, and probably a new case. I haven't built something for myself in years so it's due time. I have the same GPU and it does quite nice for web graphics and handles World of Warcraft at FULL "Ultra High" settings and still gives me 20-30 fps. So normally an RX 460 doesn't require extra power, but I noticed the card has a 6 pin connector. I'm assuming the extra power connector is essential? I would give that connector power even if it gets enough power from the PCI-E slot. You'll soon be ready for some gaming. You're happy with 20~30 FPS? Can you overclock it? Do you have the latest driver installed? What does it get if you take it down to medium to high settings? I'd give up some highest end graphics for 60 FPS. Try MSI Afterburner to overclock it. That's what I figured. Still considering putting the i7 up for bids and getting something a bit less powerful, although if I keep it it should future proof me for a bit. Keep it. I'm still using my i7 4790K (overclocked to 4.4 GHz) but I'd use a 7700K if I could. It's a different socket than the 4790 so until I can get a socket Z170 or Z270 motherboard I'm pretty much stuck with the 4790. That is in Raids or high population areas. I normally run around 60 fps and I have it set at a 9. That is in Raids or high population areas. Oh yeah, it's been maybe 8~10 years since I tried to play a WoW demo on an old P3 Dell desktop with onboard graphics. I remember how bad it lagged in town and near the markets. I managed to find an i7 7700K for $250CDN, also brand new, kinda pleased with the CPU even though it's much more than I need but I'll use it. Naah, there's no such thing really, is there? yea... you wanna talk about too much...? No, but if the rest of the system isn't equally matched, it's a bit of a waste but it will still perform extremely well for years. 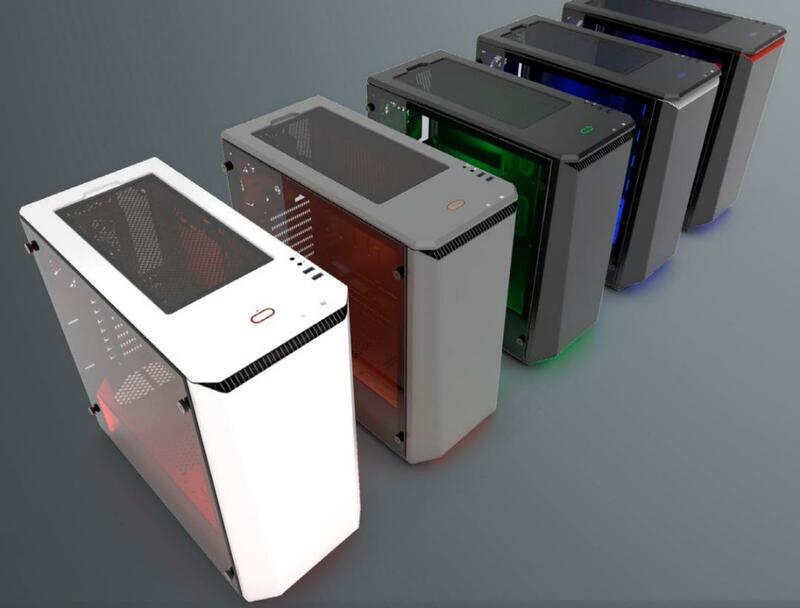 Considering a Phanteks case, inexpensive plus efficient. Do you mean GTX 1080s? what is the boy playing now? my 11yr old has gotten the FPS (first person shooter) bug and is playing the Call of Duty's. Trying to get him into Overwatch so he can get a big contract later and so I will have a nice nursing home when old. if he is playing World of Warcraft my guild is on Zul'jin and we are Horde. I'd drool over 2 RX 580s in cross-fire. My GTX 980 Ti plays modern games at 1080p - 60 FPS. Would do 144 FPS but my 27'' monitor (gifted) is only 60 Hz. Me too, although I think your single 980 would probably be a better choice all round. Waiting to see how the Vega's perform in real world experiences, if they're as good as some initial benches we could see some nice Ryzen/X370/Vega combos for less $$$ in the future. Waiting to see how the Vega's perform in real world experiences, if they're as good as some initial benches we could see some nice Ryzen/X370/Vega combos for less $$$ in the future.